The naming conventions of this island were quite complex. Originally the whole island was called Hispaniola and was one of the first base of operations for the Spanish under Columbus. Later the island would be split into the French side on the west and the Spanish side on the east. 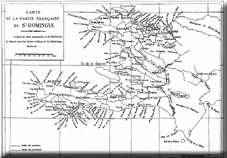 The French side was called Saint Domingue at the time but is more commonly known by its modern name of Haiti. The Eastern side is now known as the Dominican Republic although just to complicate things, sometimes Dominica was used to describe the whole island. The French colony of Saint Domingue would grow to be one of the most profitable colonies in the Caribeean in the seventeenth and eighteenth centuries. The English, Spanish and French would sparred with one another throughout the sixteenth and seventeenth centuries and the profitable colony would attract buccaneers, privateers and pirates to the area. However, the English first came to be involved in colonisation on the island of Tortuga just to the North of the main island. The Providence Island Company sent settlers to the area in 1625. The colony was known as Association Island. However the French would claim and take control of the island in the 1640s. The English would attempt to resurrect their colony in the 1650s once more but the French influence was too much in the ascendent by this time. The French were awarded Saint Domingue as part of the Treaty of Ryswick in 1697 - it would go on to become one of the most greatest producers of sugar in the World. It was to be over a century and half later that the British became involved on the main part of the island itself. 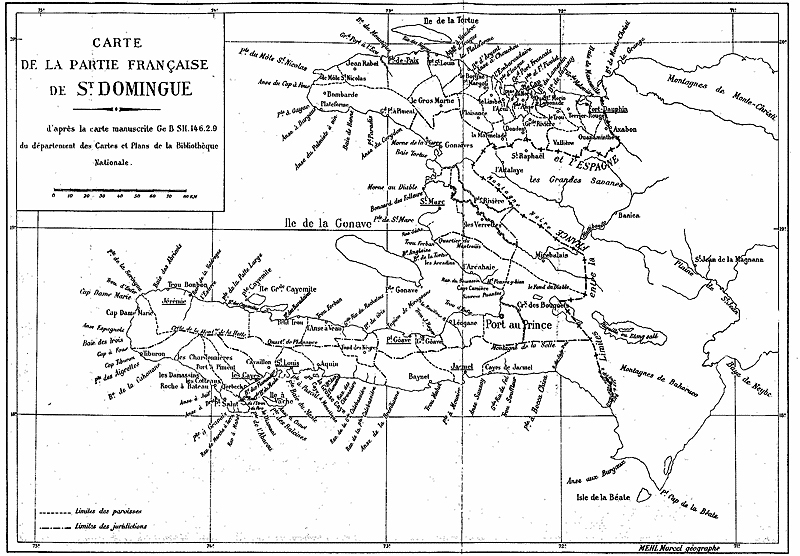 Politics would become very complicated for Saint Domingue thanks to the French Revolution. The spirit of liberty that this event inspired would cause major changes in the French colony. Freed slaves and mixed race descendents pushed for equality of rights with the Europeans. These limited requests in turn led the slaves themselves to demand greater rights. When these were not forthcoming, they broke out in revolt. This started in the north but quickly spread throughout the entire French colony. The slaves organised themselves into an unofficial army and defeated the French garrisons on the island. The chaos provided cover and an excuse to the British to sail into Port au Prince in 1794 taking control of the capital. This change of ruler was at first welcomed but in 1794, the Revolutionary Councils back in France abolished slavery. This would change everything. Now, the freed slave army would join back up with their former colonial masters and fight against the British forces and invading Spanish forces coming from Dominica. This complicated political position would lead to the British withdrawing in 1798 and letting the island fall into an effective Civil War as Napoleon and the slaves would fall out again over the French trying to reassert control over their lost colony. The island would actually obtain its own independence in 1804 becoming the first example of a successful slave rebellion.